The Conservatives are using a new tactic to reach voters with an attack on the federal government's carbon tax just days before it comes into effect. The Official Opposition party is deploying the usual political outreach tools — ad buys and doorstep campaigning — but it's also planning to send messages directly to voters' phones in the four provinces where the federal carbon pricing policy is being introduced. 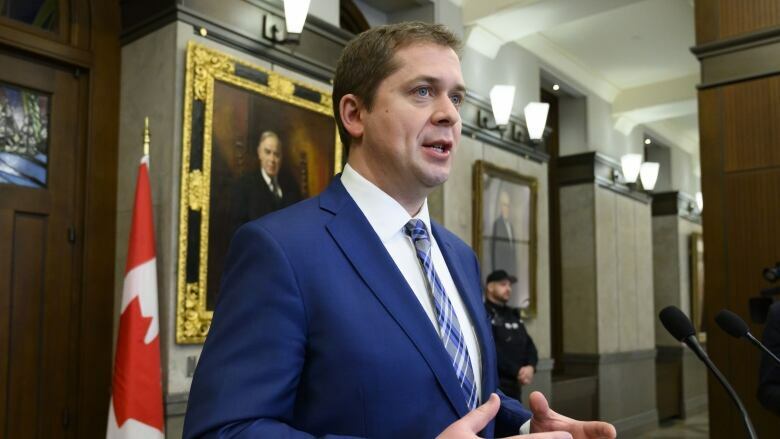 Starting Thursday, the Conservative Party will be mass-texting voters with a message from federal Leader Andrew Scheer insisting the Trudeau government's carbon tax has to go. One of the planned texts reads: "Andrew Scheer here. Trudeau's carbon tax will raise gas prices 5 cents on Monday, so fill your tank!" The party is pulling phone numbers from its own database and using software that randomly generates phone numbers based on area codes. So even if you've never shared your phone number with the Conservative Party of Canada, you might get the texts. It's a "full-court press," party spokesperson Cory Hann told CBC News. "It's about using 21st century technology to help with voter outreach efforts." Fenwick McKelvey, a media and communications professor at Concordia University, said that the Conservatives' mass-texting plan is perfectly legal — but it does raise some questions. "Just because there's a technical innovation, it doesn't mean the parties should actually be doing that," he said. "I think there's a real question here about whether setting up mass unsolicited text messages is a really good way of getting people engaged in politics." "Ultimately the question here is if unsolicited political messages is something that voters would want," McKelvey said. Since its inception, pushback against the Trudeau government's plan has been intense. To accommodate some of the concerns, the Liberals announced a rebate system for households in the four backstop provinces. Conservative provincial governments across the country have joined with the federal party in opposing the carbon pricing policy. The governments of Saskatchewan and Ontario are challenging the federal plan in court, claiming it's unconstitutional. The Trudeau government introduced the policy in as part of Canada's efforts to meet 2030 emissions reduction goals agreed to at the Paris global climate conference in 2015.